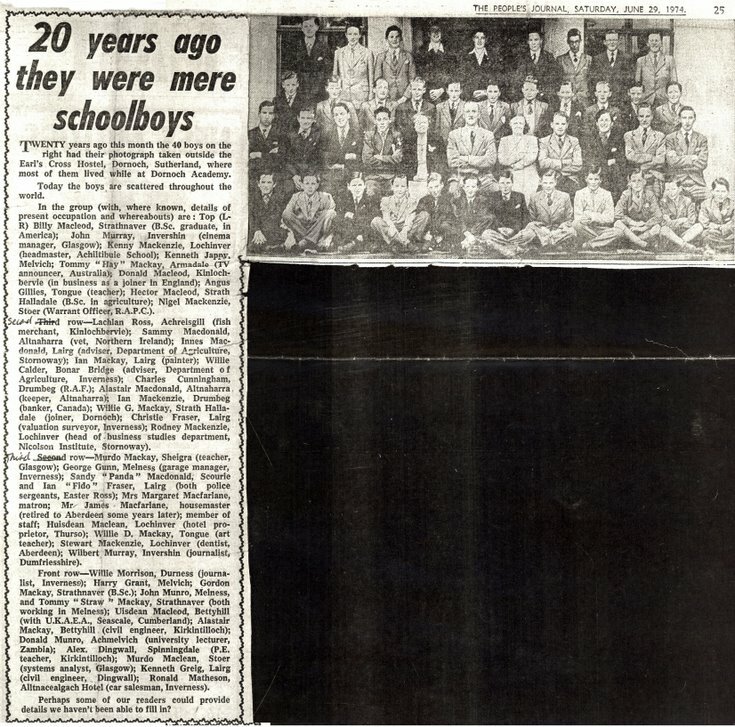 Cutting from 'The People's Journal' Saturday June 29 1974 with title '20 years ago they were mere schoolboys'. An accompanying photograph shows the 40 boys and members of staff at the Earl's Cross Hostel, Dornoch in June 1954. The article provides the names and home location of the boys and their occupations 20 years later in 1974.